Like the Statue of Liberty or Big Ben, the Eiffel Tower is symbolic of the skyline of one of the world’s great cities. The ultimate Parisian souvenir, sold in model form to tourists round the world, what would you give to have a piece of the real thing to take home? Over half a million Euros, or €523,800, is the latest answer to this question. 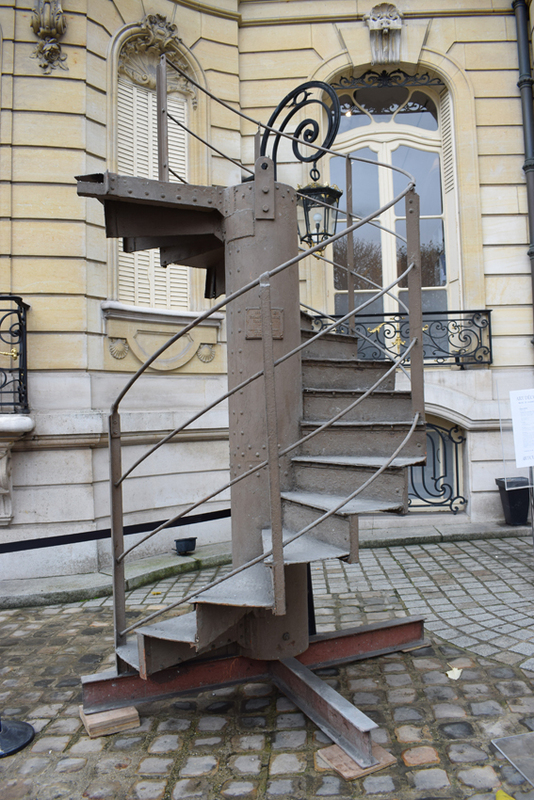 This is the amount (including premium) paid by an Asian buyer at Artcurial’s November 22 auction in Paris to secure a 14-step section of spiral staircase from Gustave Eiffel’s original creation of 1889 which linked the second and third floors. In 1983 when a lift was installed between these floors, the staircase was dismantled and cut up into 24 sections. While one piece was kept on-site, others were given to French museums or sold at auction and are now dispersed around the world. Artcurial’s section was one of the latter, sold by Ader-Picard Tajan in 1983, then passing to a private collection. It was on view in front of the auction house prior to the sale. Artcurial had estimated the 8ft 6in (2.6m) high element at €40,000-50,000 and the bidding opened at €20,000. But as the lot caught the collective imagination, competition from the room, phones and the internet took it up to €420,000 (£358,975) before the hammer fell. The purchaser was in the room. 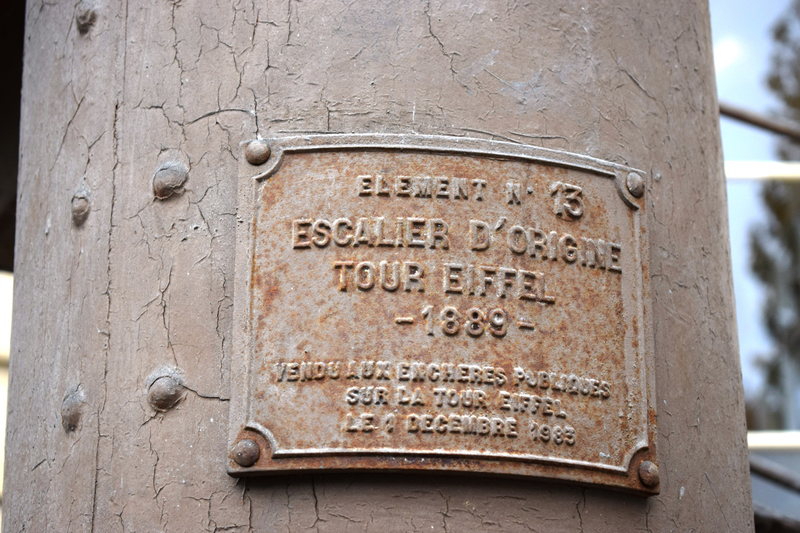 Elements of the Eiffel Tower surface at auction from time to time. In December 2009 the French auction house Lucien offered an even larger, 40-step, 25ft 7in (7.8m) high section of spiral staircase that had also featured the 1983 Ader-Picard-Tajan auction and was subsequently acquired by the city of Nogent sur Marne. It realised €85,000 (then around £77,270).